Why Are More And More People Getting “Gray Divorces”? What about Financial Considerations This Late In Life? Just in the last 25 years, the divorce rate for Americans over the age of 50 has more than doubled. That translates to one out of every four Americans, where more than half of all gray divorces are between people who have been more for over 20 years. So why is this happening, all of a sudden? Most of these divorces involve people who have raised children, been together for decades, and aren’t splitting because they are bored with or cheating on each other, but have simply grown apart and want to go it alone. 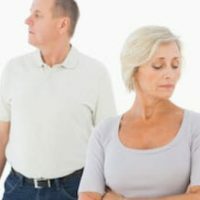 Still, it is helpful to know why these types of divorces might be on the rise, and the pertinent financial considerations that should be taken into account. More senior citizens are meeting due to increased longevity and engaging in more activities, such as travel. Note that the strategy of coordinating your social security claiming strategy to maximize benefits during your lifetime and create the largest possible survivor benefit for the last surviving spouse can actually backfire in the context of a gray divorce. If you live in Florida and are considering or just have questions about gray divorces, contact our experienced divorce attorneys at Arwani Law Firm, PLLC to find out more. We’ve worked with a number of clients who felt more empowered to move onto the next step of their lives as a result of their divorce, but you want to make sure you consult with an experienced attorney so that you take every important consideration into account in the process.